Volcanoes are the powerhouses of nature that can, within minutes, transform a beautiful mountainscape into a desolate landscape devoid of life. 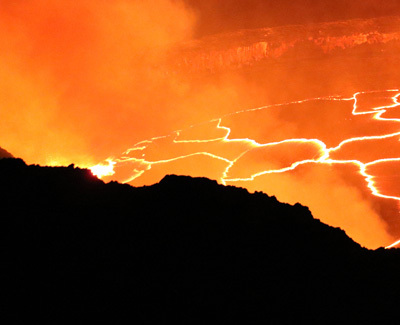 Whether eruptions are mild or catastrophic, volcanoes fascinate and captivate us. But what controls whether a given magma will erupt or stall, and how do processes in one part of the system affect others? Volcano science is advancing rapidly, and improvements in monitoring tools, petrologic tools, and modeling of volcanic processes have greatly improved our understanding of volcanic behavior. This issue brings together contributions exploring volcanic behavior throughout the crustal system. Despite the bulk silicate Earth only containing 250 parts per million of sulfur, sulfide minerals and liquids have a powerful impact on the behavior and fractionation of a wide range of elements in the Earth’s crust and underlying mantle. According to the V. M. Goldschmidt classification, in the periodic table there are 18 chalcophile elements that have affinity for sulfur and form sulfides. Besides the chalcophile elements, a large number of siderophile elements are also found in nature in association with sulfides. 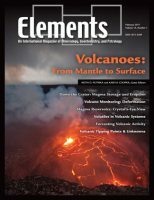 This issue focuses on the broad topics of magmatic and volcanogenic sulfide deposits, the behavior of sulfides during mantle melting and volcanism, and the mineralogy of sulfides and sedimentary sulfides and their role in the early development of the biosphere. Magmas are erupted from a wide range of depths. Olivine compositions, for example, indicate magma storage in the lower crust and upper mantle, while clinopyroxene and amphibole record middle to upper crust storage. 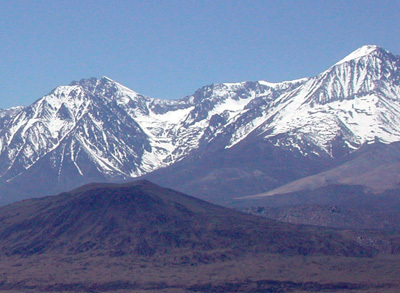 Pre-eruptive magmas also often cool by 100–300 °C, frequently at middle–upper crust depths, indicating clogged, ephemeral volcanic pathways. These coolings imply that mafic recharge is not a sufficient cause for eruption and that crystallization-induced vapor saturation is a more proximal eruption trigger. 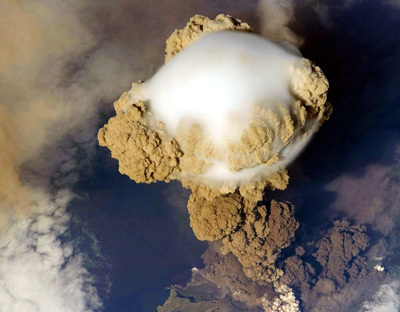 But an improved understanding of eruption mechanisms require precise identifications of what are herein termed “ultimate”, “proximal,” and “immediate” causes of eruption. Global Volcano Monitoring: What Does it Mean When Volcanoes Deform? Currently, it is only possible to look inside an active volcano using indirect geophysical methods. One such method is to measure surface deformation, which results from subsurface magmatic or hydrothermal processes. Modern satellite data allows deformation to be measured at hundreds of volcanoes without relying on limited ground instrumentation. As a result, the number of known deforming volcanoes has increased from 44 in 1997 to over 220 in 2016. This article reviews the diverse ways by which volcanoes can deform, the typical rates and durations of such deformations, and the processes that drive deformation. Crystals within volcanic rocks contain records of the changing chemical and thermal conditions within the magma reservoirs in which they resided before eruption. Observations from these crystal records place fundamental constraints on the processes operating within the reservoirs. Data from volcanic crystals are in accord with recent conceptual models of magma reservoirs being composed dominantly of crystal mushes, with small volumes and/or small fractions of melt present. The implication is that magma reservoirs have differing modes of behavior: magmas are stored over the long term in largely crystalline, quiescent, conditions, punctuated by brief episodes of intense activity during the decades to centuries immediately prior to an eruption. The role of volatiles in magma dynamics and eruption style is fundamental. Magmatic volatiles partition between melt, crystal, and vapor phases and, in so doing, change magma properties. This has consequences for magma buoyancy and phase equilibria. An exsolved vapor phase, which may be distributed unevenly through reservoirs, contains sulfur and metals that are either transported into the atmosphere or into ore deposits. This article reviews the controls on volatile solubility and the methods to reconstruct the volatile budget of magmas, focusing particularly on the exsolved vapor phase to explore the role of volatiles on magma dynamics and on eruption style. Magma systems that supply volcanoes can extend throughout the crust and consist of mush (melt within a crystalline framework) together with ephemeral magma accumulations. Within a crystal-rich mush, slow processes of melt segregation and heat loss alternate with fast processes of destablisation and magma transport. Magma chambers form by two mechanisms: incremental magma intrusion into sub-solidus rocks or the segregation and rapid merging of melt-rich layers within mush regions. Three volcanic states reflect alternations of slow and fast processes: dormancy, unrest and eruption. Monitoring needs to detect processes of melt and fluid movements in the lower and middle crust during destabilisation to improve forecasting. 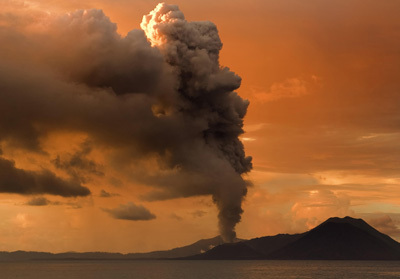 The geological record of volcanic eruptions suggests that scientists are some way from being able to forecast eruptions at many of the world’s volcanoes. There are three reasons for this. First, continuing geological discoveries show that our knowledge is incomplete. Second, knowledge is limited about why, how, and when volcanic unrest turns into eruptions, and over what timescales. 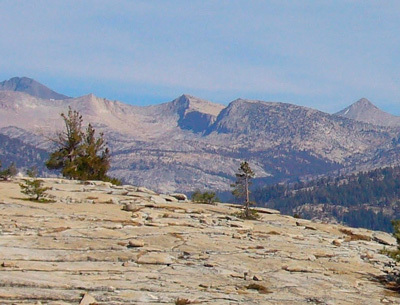 Third, there are imbalances between the studies of past eruptions, and the geophysical techniques and observations on modern events, versus the information needed or demanded by society. 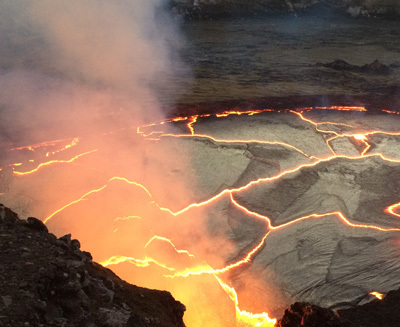 Scientists do not yet know whether there are other, presently unknown, factors that are important in controlling eruptions, or if there is an inherent unknowability about some volcanic systems.